Filmmakers need locations just as much as they need actors and a script. If you think about your favourite films and tV programmes you’ll discover that where they’re shot and where they are set can be as intrinsic and important as the storyline. Heartbeat and The Last Of The Summer Wine are synonymous with Yorkshire, Life On Mars brilliantly evokes Manchester of the early 1970s, while Notting Hill vividly brings to the screen the harsh realities of making ends meet in the urban wasteland that is west London. Okay, so maybe that last bit isn’t strictly true. It does, however, serve another point about locations: in that they can be dressed, lit and shot so they aren’t necessarily an accurate realisation of that area. But whatever works for your production works! This feature covers absolutely everything you need to know about locations and location shooting. If you’ve never researched a destination before, you’ll learn essential tips from the experts on how to make it a success. The authenticity provided by a location shoot can be an invaluable facet of the look of your finished film. No matter how much work you put into creating a set on a studio soundstage there will still be times when only a location shoot will look and feel right. Be unfailingly and unstintingly polite while doing your recce – when the day comes for you to block off pavements and rearrange park benches, people will be a lot more tolerant if they know that you’re not riding roughshod over them for the hell of it. There are dangers to shooting on location, of course. 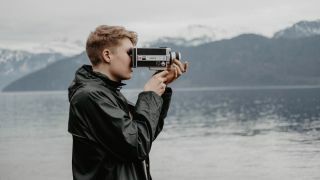 Your inability to control the intensity of the sunlight, the amount of ambient noise and the rubbernecking of passersby will all result in scenes needing more takes when shot on location, resulting in a lengthier shoot and perhaps a budget over-run. Nevertheless, with careful planning these dangers can be mitigated, and the benefits of location shooting tends to make the risks worth it. Some directors flat out refuse to shoot on set if a location is available, so keen are they to capture the realism of a genuine location. the once-prominent Dogmé cinema movement, obsessed with verisimilitude above all, even had a rule that all Dogmé films had to be shot entirely on location. The first, and most important, thing to do is scout your location, and it’s as vital to be as meticulous when scouting your hometown high street as it is when scouting a town, city or building you’ve never been to before. Don’t be fooled into thinking that extensive day-to-day familiarity with a location is the same as filmmaking familiarity – there are whole swathes of new information that you’ll need to discover before attempting to shoot at even the most familiar location. When doing your recce try to speak to as many people as possible to get as much ‘local’ info as you can. Ask them when rush hour hits the area, whether there are airports or train tracks nearby, what time the school run starts – all of these things have the potential to ruin your shoot. Ask people what annoys them about the area, as a lot of what bothers them in day-to-day life is what will bother you during the shoot. Take a digital camera along and take photos of everything – most production scheduling software will let you attach stills to the schedule, which means that everyone in the crew will reap the benefits of your recce and maybe spot things that you’ve missed. Look for the position of the sun and try to work out where it will be when you shoot – will it be glaring into cast members’ eyes or reflecting distractingly off windows? take a few moments to listen to your location, are there burbling fountains or mooing cows nearby that will ruin your soundtrack? Count the number of power points available to you and try to work out whether you can run all your equipment off them without blowing the fuses. Look out for flickering fluorescents that will give your footage a ghastly green tinge, and try to spot anything that might appear incongruous – a production company office won’t double for an estate agents office if the computers are all mismatched and covered with skateboarding stickers. Having scouted your location there’s still plenty do when preparing for the actual shoot. For starters you’ll need to pay any location fees or deposits that have been asked for in advance, and also make sure that your production insurance covers you for location work. In most cases it will, but it’s important to check with your provider and take along a copy of your policy in case anyone asks. Speaking of things to take along, this is one of those rare situations were we’d suggest packing heavy rather than light. the fact is, you can’t control how long you’ll be on location, and the longer you’re there, the more stuff you’re likely to need. Strangely, when we spoke to a wide selection of filmmakers they all mentioned the same surprising thing as being most important when planning a location shoot: plenty of food and drink. the simple fact is, your planned eight hour location shoot is going to overrun, probably by several hours, and the best way to make people willing to work 12 or 14 hours on the trot is to keep them well supplied with bacon sandwiches, pizza and coffee. While food may be the most common requirement for a location shoot, there are plenty of other handy items to take along. Remember, just because it’s day or night in reality, doesn’t mean it has to be at your location. Black sheets over windows can cut incoming daylight to a more twilight-ish look, while a daytime look can be achieved at three in the morning by using an Arri daylight balancing kit on your luminaires to give their light a similar temperature and tinge to sunlight. Away from controllable studio lighting you’ll also probably find that your camcorder’s LCD screen isn’t quite up to the task of providing you with a good picture in decent sunlight. You could take along a bellows shade, but by far the best solution is to take a monitor; again, the difficulties of location shooting mean it’s worth having enough equipment there to do the job properly, coming back for pick-ups will be an expensive nightmare that might derail your entire production. The same rules of safety that apply on set apply to locations, only more so, as you run a greater risk of interlopers who don’t know what to look out for. Gaffer tape cables securely to the floor so that there’s little or no chance of tripping. Lay heavy mats over large groups of cables that can’t simply be gaffer taped, and loop cables around handy table legs so that if someone does trip, they only yank the table and not the delicate connectors attaching the cables to the cameras or monitors. Make sure all your lights are safe and certified, and make sure no one is in the way when you first turn them on, in case you get an explosive blow out. When lighting a person, it’s considered good form to hold your hand in front of the lamp face, ensuring that should their be a blow out, your hand takes the hit on behalf of their face. If that sounds overly dedicated, just make sure that you don’t connect an 800W luminaire to a 1200W generator and you should be fine. This feature was originally published in The Digital Video Book, which is packed with more video making advice and techniques.